"They no longer work in order to earn an income." During the interview Tun Dr Mahathir spoke at length, answering questions about the New Malaysia, a label now popularly used to describe the new Pakatan Harapan government, what he thinks can be done to change the pervasive political culture of the country's civil service, the politics of money & favour practised by Barisan Nasional and how it has had a hugely negative impact on the productivity of Malaysia. "We have to respect the wishes of the people. "They have shown that they did not like the previous government, and of course, we have to take corrective action to bring back the country to its former organisation," he told Investvine director Imran Saddique and correspondent Firoz Abdul Hamid. 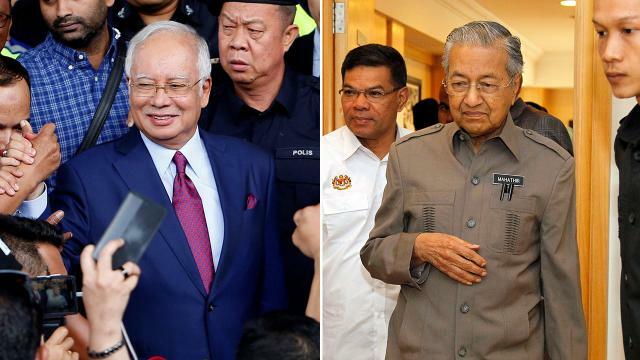 "It makes them biased, it makes them want to ensure that the previous government wins, sometimes by doing wrong things," Tun Dr Mahathir said, adding that that is something the new government has to correct. He, however, emphasised how correcting them is not going to be an easy task. "The work of correcting is very difficult because most of the senior civil servants, heads of ministries and departments were involved, not only involved for their help in the previous government, but some of them have become corrupted," he told the interviewers, adding how these civil servants saw opportunities for making money for themselves and didn't hesitate to keep away from such temptations. "Seeing the leader of the government himself being accused of corruption, we find that many of them are involved in corrupt activities, and of course, we cannot have those people continuing because the perception of things, their ethics towards things, are not what is expected from civil servants," he said, while pointing out that he is not taking revenge by removing them, "but when you find that a person and officer is involved in wrongdoings, it will be wrong for us to retain them." "Those who are clear, they are retained. Sometimes its so difficult to replace current officials because below them would also be corrupt officers. Sometimes we have to go down three or four steps before we can find an officer who is not involved." "For example, the previous government was very fond of giving money to the people, ostensibly because of poverty. "But even those who are not poor they were also given money, in fact, everybody has been given free money by the government," he told Investvine while pointing out how this very practice has made the people "government-dependent". "They no longer work in order to earn an income. They expect their income to come from the government which undermines their work ethic to a point where they no longer work in order to earn a living. "They feel that even if they don't work the government has a duty to support them, and this is of course very bad because that means they are not productive. "Eventually, the number of people who are productive would be reduced and they would not be able to pay the taxes which the government needs in order to support this very lavish style of administration that gives free gifts to the people. "So we have to change that and it would cost something," Tun Dr Mahathir added. "For example, they used to give money to the fishermen, whether they catch fish or not, it doesn’t matter, they get RM300 a month like a salary. "Now we can’t afford to do that because the money that was given to them was taken from the government or from illegal sources. Like money from 1MDB that was taken by the government and given to the people," Tun Dr Mahathir said. 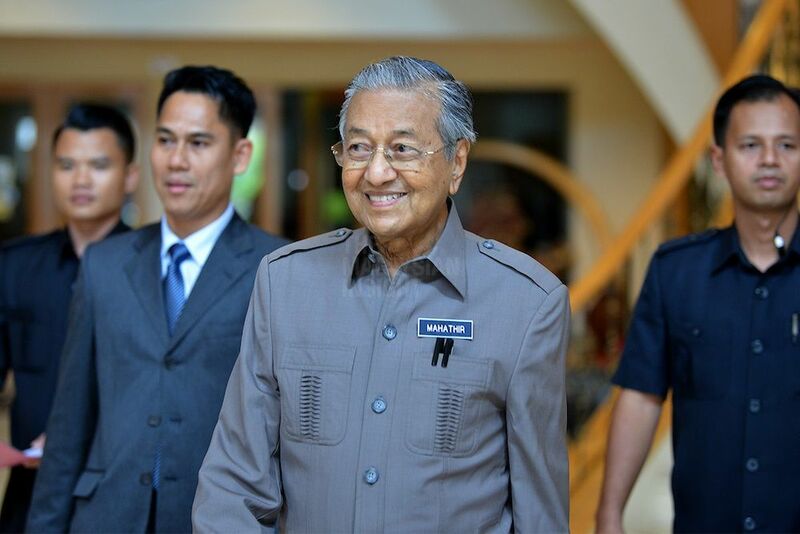 Given the fact that the new government has to take care of the RM1 trillion debt, the prime minister prophesied how people will term the previous government "better" if he were to tell them that "sorry we cannot give you what you have become used to". "But we have to slowly tell them 'there is no way we can give you money unless of course, you work for your income,'" he told the interviewers. Ayu Is Still "Married" To The 41-Year-Old Despite A Week After DPM Called It "Not Valid"
The government is still "closely monitoring" the child-bride. The Youth and Sports Minister said this amidst reports of him appointing a member of the LGBT community.